Day 3: Ascend Kongskil La to reach Sumda Doksa camp. Day 10: Trek to the Nimaling plateau. Day 12: Walk to Martselang and drive back to Leh. Early morning, you would make it out of Leh in a tax. 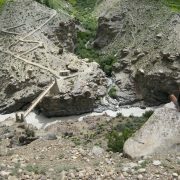 You would had to Lamayuru along the Indus and pass through the Sham Valley. Once in Lamayuru monastery, you would be packing your backpacks and then move for the adventure. You would be following a stream and then making a gradual climb to the Prinkti La Pass. Then, you would be passing through the Shila village and reach the Wanla campsite. The afternoon can be spent here for enjoying a visit to the monastery or to bask in the sun. Taking the dust-laden road, you would first enter the Phenjilla village at a highest of around 3,400 meters. Then, you would reach the Ursi village that is scattered all around. A narrow gorge would take you to a conventional flourmill, which is known as Rangthak in the local language. It is located at the farther end of this village. 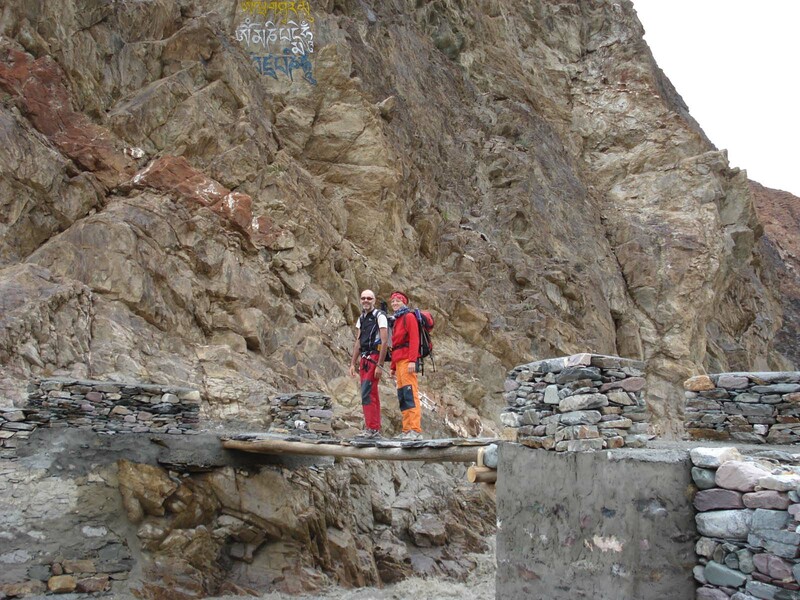 Then, your trek would pass through the Hinju village, at a height of around 3,700 meters. The campsite is just a couple of kilometers from here located in the encampment of the yak herders. Once you have rested for the night in the encampment, your journey for the 3rd day would comprise of ascending a ridge located under Kongskil La that is 4,900 meters high. If you are lucky, it is possible to see some local wildlife. The gradual climb would take you to Kongskil La, which is surrounded by Stok and Karakoram ranges. When you descend, the trail is going to be steep and difficult. You would then be taking to the left side of the valley, where you come across a special hut made for yak herders. The Sumda Chenmo villagers are spread out across this valley. You would be walking for a short distance and cross a number of streams before the Sumda Chenmo village is reached. At this point, the group would be heading to the actual left side of this valley. From here, you can get a stunning view of with lush green landscapes around the village. The trail would further take you into the wildbushes of roses before you reach the next stream crossing. The special thing about this stream is that it originates in the snow-covered peaks of the Photoksar that is around 5,600 meters high. There is lots of flora and fauna to be viewed here. You can spend some time watching the rare Edelweiss that you have only heard about. It is mostly seen at the place where you make a turn for Lanak. Once in the camp, you would get a spectacular view across Konskila. The next day, you would start a simple climb for Dugndung Chan La that is around 4,800 meters above sea level. 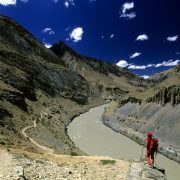 Check the elegant view of the eastern Stok Range and the southernZanskar Range. Once into the pass, you would be descending down into a ridge that moves towards the valley that takes you to Chilling village. There is no other village in Ladakh that is known for metalwork, but Chilling. It is famous for copper, silver, tin, iron and bronze works. Once in Chilling, you can move around the village and get close to the local culture. The night stay would be in this village. After spending the night at Chilling, you would have a breakfast in the morning and make it to Skiu, which is a 2-hour ascend. 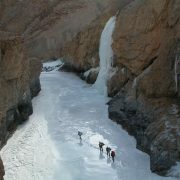 During the trail, you would be able to get amazing views of the Stok and Zanskar mountains. Then, you would be able to cross the Zanskar river on a trolley, and experience you would remember for a lifetime. The local wildlife can be enjoyed as Marmots and the Blue sheep that roam around in the hills. Once you take some rest at the place, the day would culminate in making a hike through a breathtaking gorge before you rest at the Skiu camp. In this peaceful village, you would find an ancient monastery and an old castles ruins. You would follow the Markha River and then hike into the beautiful valley that passes through a reasonably plain path. The trek would cross the river at many points and also through the winter settlement of the Lhatos and the Mani walls. If you visit during the season, there would be several tent teahouses that offer warmrefreshments. Once you make the last crossing over the river, you would eventually reach Markha, which is the largest of the villages in this valley. Its populace lives in the two dozen houses and the ancient monastery, and there is a fort in ruins. The trek for the Markha valley would take you past ancient stone mills, the famous Techa monastery and a broken down castle. The monastery is built on top of a high cliff that hovers above the valley. It is worth giving a visit if you have sufficient energy left in you. Your trail wouldagain intersect the river many times before you pass through the last few villages. Once you leave the Umlung village, you would get a view of the 6,400-meter high Kang Yatse. You can keep enjoying the view until you reach Kongmaru La. The lunch would be offered in the Hangkar village, before you would enter the lush green meadows of Thachungste and set up the camp. 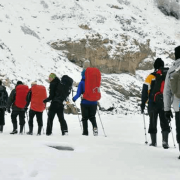 The 10th day of the trek would bring you into the stunningNimaling plateau. The Markha Valley locals bring their cattle to this place during the summer for grazing purpose. Nimaling is at a height of 4,700 meters and is the highest campsite for this trek. Here, you can get amazing views of the Zangskar Range, the Kang Katse and the Markha Valley. Once you enjoy a lavishbreakfast, you would be crossing through Kongmaru La, which is your treks highest peas. You would be able to enjoy an amazing view of the valleys and mountains around. The descent takes around 2 hours and is excessively steep. It would slowly turn into a plain trek when you pass through the Shang Gorge, as it has a stunning rocky formation. There are even more crossings across the river before you reach the Chuskurmo spring, which is popular for its sour taste. Its water is especially used in making traditional medicine. Once you take the break here, you would be passing through a number of villages before coming to Shang Sumdo. 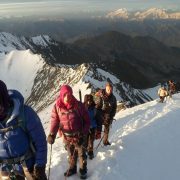 You would be certainly feeling high after successfully completing the trek. You would embark on anenjoyable 2-hour trek along the jeep road for Martselang. Here, you would be picked up by the jeep and head to Leh. You can also check Ladakhs most popular monasteries including Thikse, Shey and Hemis.